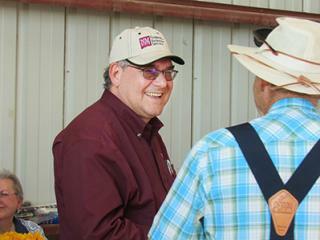 New Mexico State University President John Floros speaks with a participant in Thursday’s Field Day at the NMSU Agricultural Science Center south of Artesia. 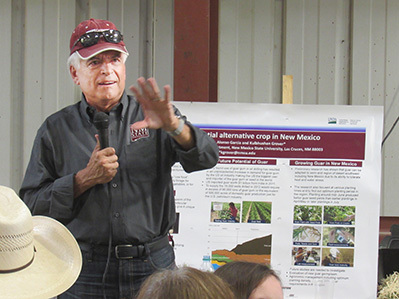 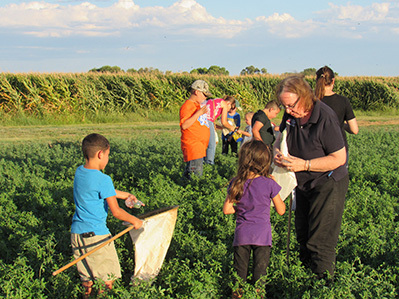 The Field Day brought together university experts and area farmers and ranchers. 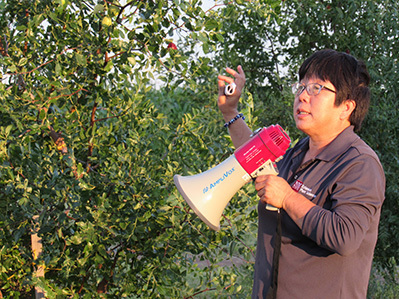 Dinner was provided by the Yucca CowBelles.